Two years of study in Music Performance and Theory at Price George’s Community College. Teaching experience with beginning children and adults, including students with learning challenges and ADHD. Specializes in general musical concepts, classical, pop and rock styles. Customizes learning to the student’s interests. 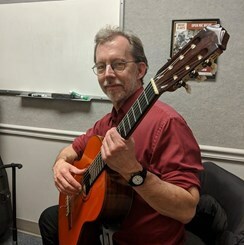 Request Lessons with Robert Hall today!